If you watch phone reviews on YouTube a lot then you probably most have heard of the YouTuber called "Jerryrigeverything". For those who don't know, he is actually a YouTuber who put high end phones through rigurous tests like bend, scratch and burn just to see how well they survive. One of the latest victims of his durability test is the recently launched Samsung Galaxy Note 8. 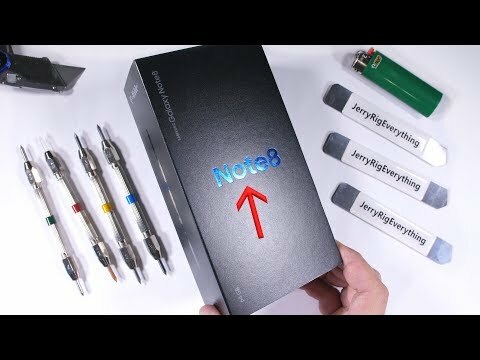 In the video, both the Note 8 and the S pen were both put through his durability test. 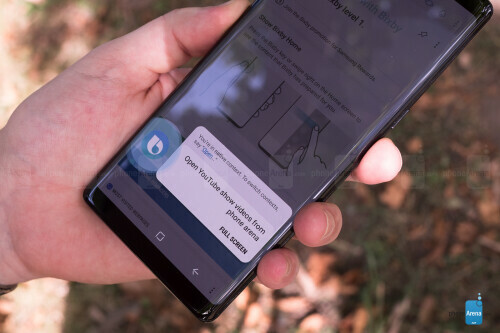 First, the Samsung Note 8 screen was put through a scratch test which it passed with flying colors, the back of the phone was also put through the scratch test and it did well except for the rear fingerprint scanner which scratched easily. The next test which the phone had to endure was the burn test in which the screen was burnt with a lighter for a couple of a seconds and that also didn't affect the display at all. Lastly, he tried bending the phone both from the front and the back just to see if it will pass his bent test and it actually did. Overall, the Samsung Galaxy Note 8 proved it's build quality by passing everyone of Jerry's test with flying colors. Incase you want to watch the full video then you can check out the YouTube link above.